Comedies that have been made since, let’s say the 90s, have been strongly derived from science fiction. It seems odd to think that the people who were raised on “Star Wars” and “Star Trek” went on to make “Clerks” and “Knocked Up.” I never really connected the dots until I watched “Paul.” Sci-fi, in either the best or worst sense, can also be comedy. 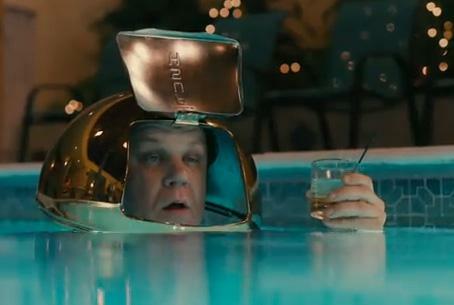 “Paul” is one of those satires that’s a little mocking, yet very loving, at the same time. Only someone so in love with sci-fi and comic book culture could ever make fun of it in this way. “Paul” is one of those movies that was much better than it had any right to be, or at least much better then I ever thought it would be. “Paul” begins in a place where the new heroes of the 21st century seem to dwell: Comic-Con. Best friends Graeme (Simon Pegg) and Clive (Nick Frost) come all the way from England to experience the convention. On the way back, they stop off at some alien landing sites and come across Paul (Seth Rogen), a foul-mouthed, weed smoking alien who just wants to go back home. Now, the duo must help Paul safely meet his ship, while avoiding some very sinister FBI agents (including an intentionally robotic Jason Bateman, along with the much more ridiculous Bill Hader and Joe Lo Truglio). Along the way they also pick up a Jesus freak (Kristen Wiig) and flee her psychotic father (John Carroll Lynch). “Paul” might not land my 10 best list for the year, but I will say that it’s probably the best put together comedy I’ve seen so far this year (though the competition is pretty slim). Though this shouldn’t be surprising, based on the people involved. Pegg and Frost have already gracefully mocked zombie movies with “Shaun of the Dead” and action movies with “Hot Fuzz.” In both cases, they wrote movies that both mocked the genres while becoming entries into them. “Paul” is no exception. These people have obviously partaken in enough sci-fi to know how to make fun of it correctly. “Paul” has such a sprawling cast of comedic talent, and each actor contributes exactly the way they should be. Pegg and Frost have been practicing British bromance for close to a decade now, and they really know how to do it right. Though this time, their relationship had a much difference balance. It was a little less of one actually trying to get things done, and the other being a total idiot. This time, their friendship was basically played up as a romance, with hilarious effect. The best comedic minds in Britain blend with America’s funniest comedians in “Paul.” I guess someone who can make characters as awkward as Wiig can was destined to one day play a half blind hard-core Christian; I guess she fulfilled her destiny. Rogen meanwhile is good as ever, even in alien form. At times, Paul never seemed very alien, because no one bothered to make his character any different from the real Seth Rogen. This actually turns out to be a good thing, as Paul becomes a likable, almost human character. He’s like E.T., if only E.T. could speak fluent English and chain smoke. “Paul” nailed all of its sci-fi and pop culture references, from the never-ending mothership to the meeting spot at Devil’s Tower. The film is directed by Greg Motolla, who impresses more and more with the range of comedies he can direct. He can go from gross out (“Superbad”), to a little dramatic (“Adventureland”), to one that has an FX alien as a main character. What Motolla does best is make sappy ideas seem very sweet. Think about the power of the friendship in “Superbad.” That’s why I really wish “Paul” had a little more emphasis on the friendship between Graeme and Clive, because very little development and change occurs in it throughout the film. This is too bad, as this was always a strong and hilarious aspect in the other films Pegg and Frost made together. Nothing against Motolla, but perhaps frequent collaborator Edgar Wright would’ve been a good directorial choice here. Then again, how do you fit a fully developed buddy comedy into a movie about a half naked alien? If Motolla, Pegg, and Frost could’ve pulled that off, they’d forever be comic geniuses. Maybe they didn’t get there, but they still made a perfectly acceptable, unstoppably hilarious satire. They have certainly followed this rule of good satire quite well: if you want to make a good satire (especially of pop culture), you must be both familiar, and a little in love, with the content you are making fun of. 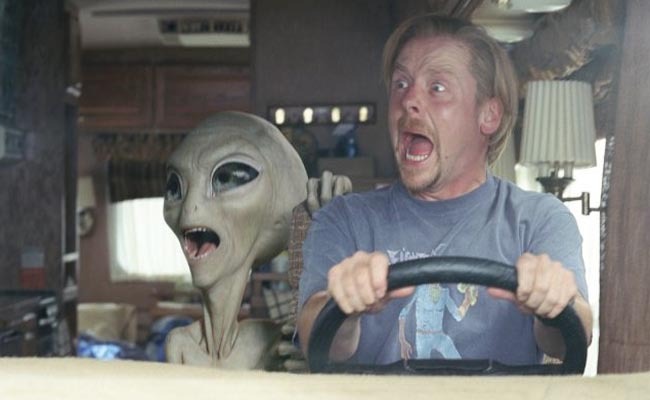 This entry was posted in Aliens, British, Comedy, Comic Con, Greg Motolla, Movie Review, Nick Frost, Paul, Satire, Sci-Fi, Seth Rogen, Simon Pegg on March 19, 2011 by ian0592. I’m that kind of guy who enjoys watching terrible movies. They can have the ability to both help you appreciate good movies, and entertain in a way that few good movies ever could. Mostly, it will be because they are just plain laughably awful. Few words can describe what I witnessed for that 90 minute duration time. The first thought I had though, once the film ended, was this: I want to smash this television set with a baseball bat. 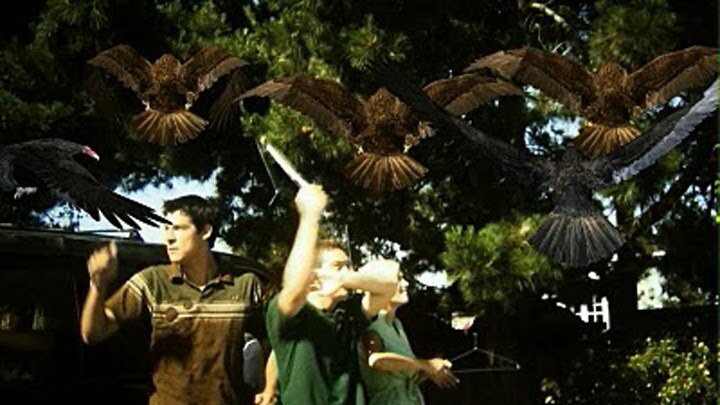 Yes, I still had a great time watching “Birdemic.” Yes, at parts I laughed so hard I could barely breath. But it just left such a bad aftertaste. Right now, I could be writing my review of the masterful “Animal Kingdom,” but I feel I am committing a good act of public service by writing about “Birdemic” first. For starters, here is a brief premise of “Birdemic”: a successful, young software salesman meets the girl of his dreams, and then all the birds in the world get angry about how humans treat the environment (I’m not joking) and start killing everyone. The entire film is shot with a camera that seems to have even worse quality then the average phone. Meanwhile, the transitions and horrible sound quality make it seem like this film was edited on a version of iMovie from the 90s. Now, director James Nguyen definitely went into this project with the best intentions. However, good intentions don’t make a good movie. And if you want to make a good parable on the evils of global warming, you shouldn’t include long monologues which are the equivalent of science class lectures. You also shouldn’t include a plot about birds who get angry over environmental issues. If you want something about Angry Birds that actually makes sense, you might as well just play this game. Not every great filmmaker needed film school (Quentin Tarantino), but they all at least tried to understand what a good movie was before they made one themselves. Nguyen meanwhile directs as if he’s never watched a film in his life. This is literally the worst edited film I’ve ever seen. Most of its running time consists of people driving nowhere, with some snippets of plot in between. Having a little bit of downtime in a film is never a bad thing. Having that downtime take over your entire film, on the other hand, is absolutely unbearable. Oh, and did I mention the birds poop fireballs? That’s the only way to explain the film’s subpar (that’s the nicest way to describe them) special effects. Now, here is the movie’s absolute worst offense. When I think of bad movies, I obviously think of “The Room.” Somehow, “Birdemic” did the impossible and manages to be even worse than “The Room.” “Birdemic” makes “The Room” look like it actually had a sensible plot and sense of direction. Most of the green screens used in “The Room” looked more realistic than the actual backdrops seen in “Birdemic.” Tommy Wiseau, you have finally met your match. I haven’t seen every bad movie ever made. I haven’t seen “Troll 2″ or “Plan 9 from Outer Space,” and I have yet to finish “Freddy Got Fingered.” However, I can safely say this: “Birdemic” is the worst made movie I have ever seen. Still, I advise you to see it. Even though it may intensify your urge to break your TV and yell at inanimate objects, just so you can truly understand the limit of awfulness, and how to cross it. Get a preview of the awfulness here. This entry was posted in Bad Movies, Birdemic, Birds, James Nguyen, Movie Review, The Room, Tommy Wiseau on March 17, 2011 by ian0592. While most popular films about the criminal underworld depict the rise and fall of a certain criminal (or group of criminals), “Animal Kingdom” only focuses on the fall. In fact, this crime family never seemed to have much of a rise anyway. “Animal Kingdom” begins in a small apartment where young Aussie Joshua “J” Cody (James Frecheville) sits near his dead mother, who has just overdosed. J is handed over to live with his grandmother (Jacki Weaver). She presides over J’s uncles, all of whom exist in the criminal underworld, each with a varying degree of insanity. After his uncles are involved in a standoff that ends with multiple dead cops, the family sinks even lower, and are threatened by a suspicious detective (Guy Pearce). After the detective offers J a way out of this troubled life, J faces two options: loyalty or self-preservation. Let the puzzle come together. “Animal Kingdom” is a great example of a 21st century crime film. It certainly has many Americanized elements to it, yet filmmakers in Hollywood could definitely learn something from director David Michod. Everything he puts in the film helps to create such an unsettling atmosphere of constant fear and paranoia. His gloomy lighting choices and never-ending long shots are absolutely uncanny. Then there is the way Michod handles violence. Every bullet wound is extremely quick, unexpected, and unsettling. A lot of films today show violence in a manner that is so quick, that you can barely comprehend it. However, in the typical action film, this is usually done to accommodate the modern ADD state of mind. However, Michod uses this fast pace so the viewer becomes more accustomed to the violence and therefore, more accustomed to the idea that this is a world where violence is no unusual thing; it can occur literally at any second. Not to mention, the film also pulls off a very early in the film twist in which a main character is killed off. Like “Psycho” and “Children of Men” before it, this creates a sense that in this story, none of the characters are safe, no matter what the conventions of film tell us. The entirety of “Animal Kingdom” certainly lives up to the metaphor presented in its title. What this film presents to us is that humankind is an animal kingdom: the strong succeed, the weak die off, and eventually, everyone finds their place. The film carries many haunting symbolic images to match this metaphor, such as flies swarming around a dead body which lies face down in an open field. The film’s ensemble of Australia’s finest contribute to the animalistic mood. Weaver, as the over protective matriarch, got an Oscar nomination for a very good reason. She makes it impossible to tell whether her character is simply a good mother trying to protect her family, or a woman with very bad intentions. No matter what, she is always able to hide some sort of lingering darkness under a nice granny smile. Meanwhile, the relatively new Frecheville gives a very quiet performance, yet it is one that shows a lot of inner pain and confusion. Meanwhile, Pearce continues to impress in another small, yet very important role. Here, he showed a rare ability to seamlessly deliver long, deep monologues. The most memorable is his speech about the animal kingdom and how humans fit into it (briefly mentioned above). What I liked best about “Animal Kingdom” was something it did, something that American movies rarely do: it never glorifies crime. For every American crime movie that shows the consequences of being a criminal, they also have to show so much good coming out of it. However, “Animal Kingdom” removes all the glitz and glamour. It may be easy, it may have some positive outcomes, but in the end, there is no glory in crime. The criminal world (at least in Australia), is a little, well, animalistic. In the end, everyone is simply just trying to do what they can to survive. 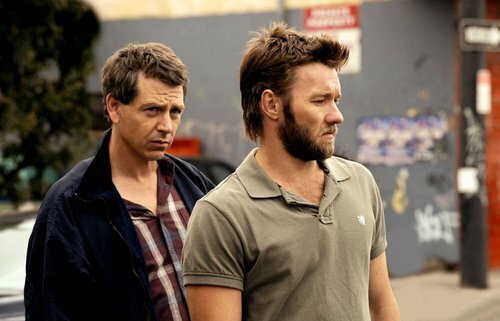 This entry was posted in Animal Kingdom, Australia, Crime, David Michod, Guy Pearce, Jacki Weaver, Movie Review on March 16, 2011 by ian0592. When done right, two genres can somehow fit together quite well. Even if one of them is a little immature, and the other tries to be sophisticated. This is what the minds behind “Cedar Rapids” try to do. Whether or not it succeeds depends on how much you think laughs cover up for cliches. If I could think of two words to describe “Cedar Rapids,” they would both begin with “Q”: quaint and quirky. Maybe it’s a little too quaint, and a little too quirky. “Cedar Rapids” begins in a very small Wisconsin town. Insurance salesman Tim Lippe (Ed Helms) has inhabited this town his whole life, and has yet to go very far. He’s also sleeping with his former teacher (Sigourney Weaver). One day, Tim gets the opportunity of a lifetime, or at least, the opportunity of a lifetime for someone like him. He gets asked to speak at an insurance convention in Cedar Rapids, Iowa. Things in the outside world are not as comfortable as they are in his small town. He’s forced to room with the misguided, insane, and slightly brain dead Dean Ziegler (John C. Reilly), and Ronald Wilkes (Isiah Whitlock Jr.), a man who needs to cut loose and have a little fun. On his trip, Tim also befriends a prostitute (Alia Shawkat), and a woman who could just be the love of his life (Anne Heche). And he has to deal with some unexpected corruption in the insurance industry. “Cedar Rapids” seems to be following a new trend of making raunchy, edgy stories on an independent budget, something similar to last summer’s “Cyrus.” Like “Cyrus,” the result of “Cedar Rapids” is pretty hilarious with a lot of problems. What I ask for in a modern independent film, especially one that comes from Fox Searchlight, is some originality. Its plot and style are very similar to that of last year’s “Up in the Air,” except it takes that film’s amazing twist and doesn’t make it surprising at all. That’s what more comedies could use today: surprise. The film also seemed to be aspiring to be “The 40-Year-Old Virgin.” It has that same character who’s too good of a guy, yet he needs to grow up. However, “Cedar Rapids” doesn’t reach that film’s subtlety, hilarity, nor its surprising insightfulness. The real problem with “Cedar Rapids” is that it thinks its much deeper than it actually is. The real strength of “Cedar Rapids” lies in its characters. 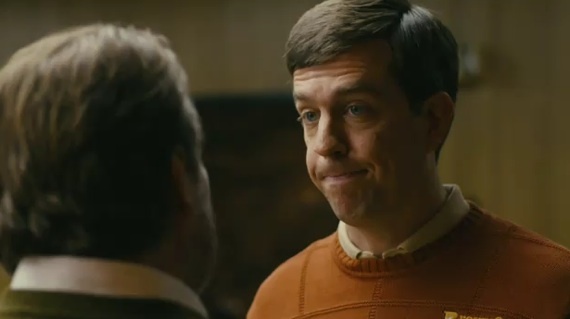 Mainly, Ed Helms as Tim Lippe. As Lippe, Helms brings humanity, joy, and even some knowledge to such a strange role. This former “Daily Show” correspondent fills in the awkward leading man role perfectly. “Cedar Rapids” aspires to be one of those comedies where setting is the driving point of the story, and the whole thing would be a sort of geographical satire. It doesn’t quite reach that point and instead it gets caught up in a few over-the-top (yet very funny) gags in addition to a lot of gay innuendos. Instead, character becomes a driving point of the story. Maybe with just a little more focus this could have been a unpredictable, inspiring, and insightful independent comedy rather than just, well, a pretty funny one. This entry was posted in Anne Heche, Cedar Rapids, Comedy, Ed Helms, Indie, John C. Reilly, Movie Review, Sigourney Weaver on March 4, 2011 by ian0592.